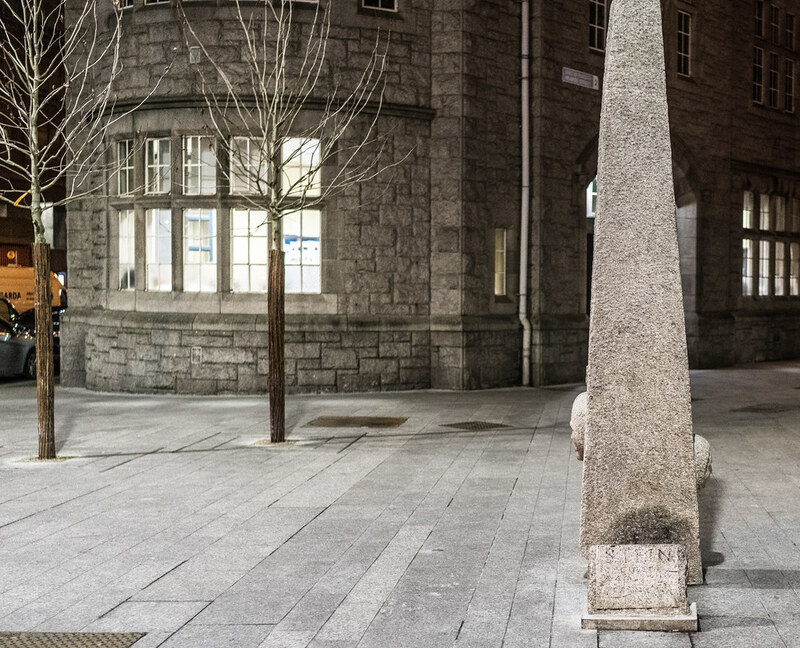 The Steine structure was erected in 1986 and was sculpted by Cliodhna Cussen. 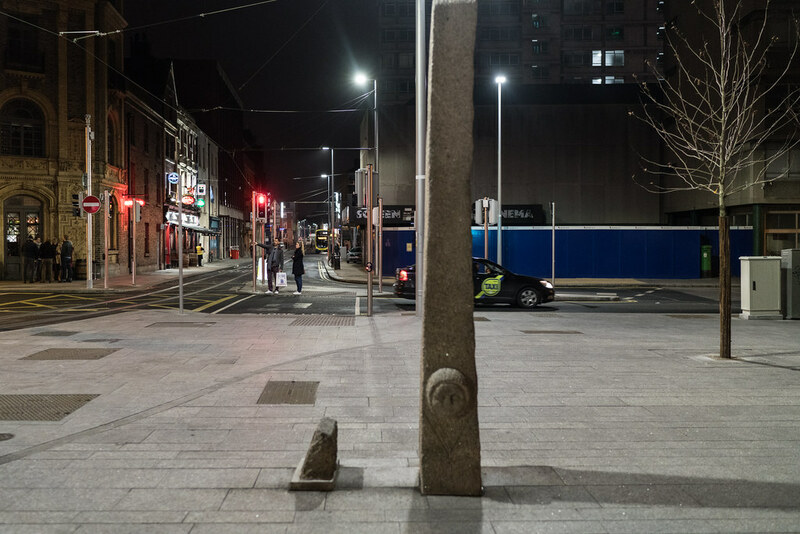 It was removed for a few years because of construction works associated with the new Luas cross-city tram service. The original installation included a granite inscribed plaque and a bronze plaque on a circular shaft set into granite setts arranged in eight circular bands around the principal granite shaft, however I could not locate the bronze plaque. The granite setts are also missing. 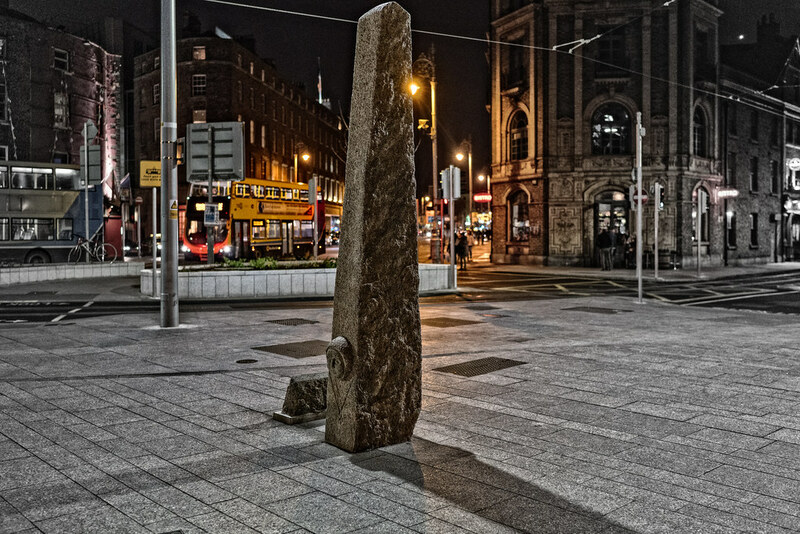 The stone is erected on a site near which stood a famous Long Stone or Steine / Steyne standing 12-14 feet high and erected by the Viking inhabitants of Dublin in the 10th or 11th centuries. The River Liffey was much broader then and the stone actually stood close to the shoreline and perhaps marked a landing place. 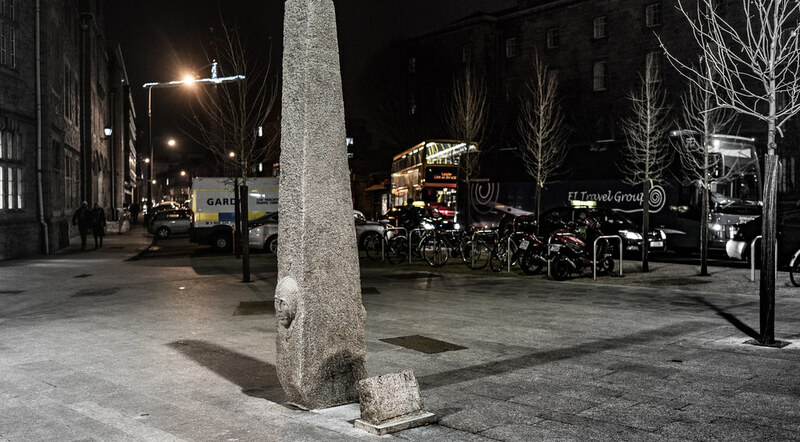 The 3.35m high granite shaft is carved with two faces, one of which represents Ivor the first Viking King of Dublin who ruled in the 9th century. The other face is that of a nun and commemorates the convent of St. Mary Hogges, which stood nearby in the middle ages.